At the beginning of the update, we would like to inform you about the shipping delay. Which is now expected in mid July 2017. We apologize for the inconvenience, but the delay is for good reasons: we would like to implement last design update, that makes great improvement to the model. Hopefully you will like it. Also due to low pre-orders volume, would like to run short kickstarter campaign, to help us rise funds for the tooling and MOQ. 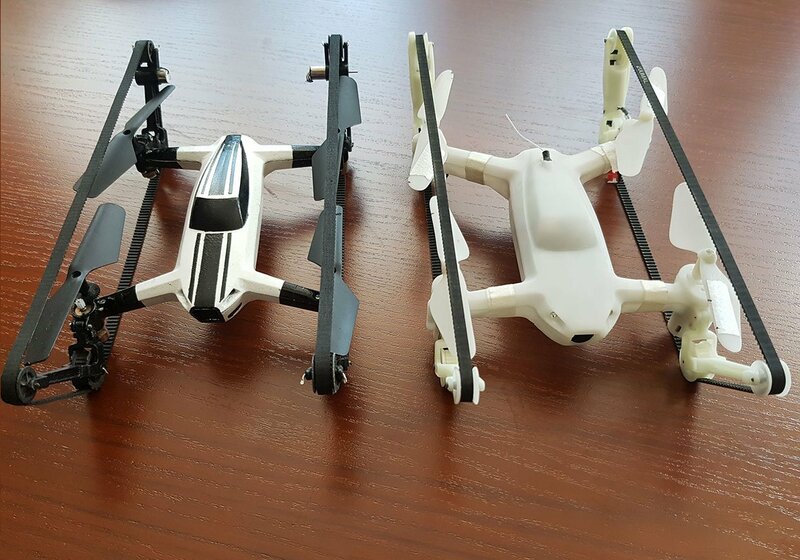 Below are the pictures of the both prototypes we have been testing. The design upgrade is the last and quite important, therefore we have decided to take a bit more time and implement it. 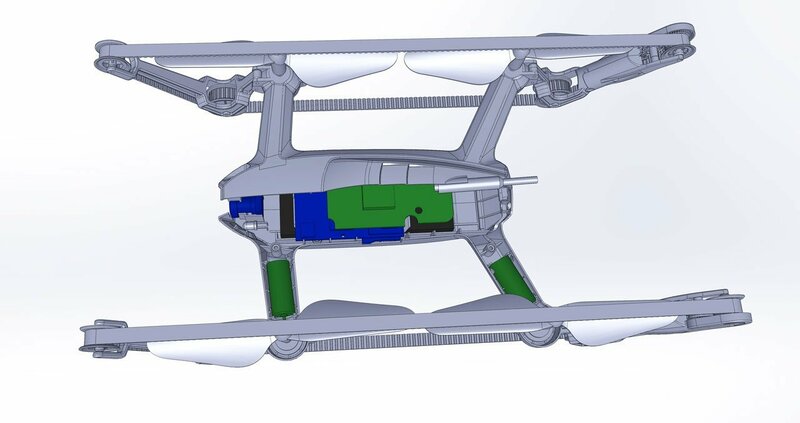 The change in design is about moving motors ( powering the propellers) into the arms. This way we will reduce mass by 4 x current motor housing ( since they will be housed in arms), that also means less components therefore more reliable system. Another advantage is the better clearance, so better driving experience. By this change we also increase agility of the model since the mass is moved towards the centre of the system. We are still awaiting for the the newest prototype ( that should arrive next week). We will test all 3 of them. So far there are no issues . We have already finished work related to Remote Controller design, App, Flight Controller. So the only last thing is to apply mentioned above changes. Please let us know what you think in comments below. Thank you to you it is with an immense pleasure that I participate and consulted all your updates and I am delighted to have added my little stones to your edifice unique in the world .. yes I repeat myself but still! 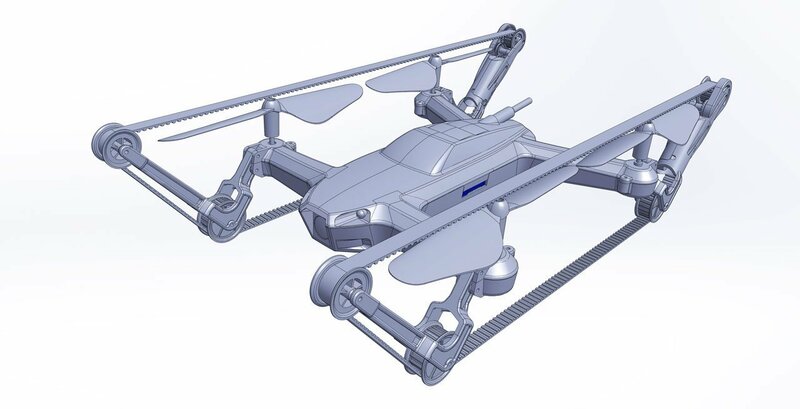 Hello, I pre-ordered one of your future tankcopters because I am a fan of this idea unique in the world. The idea of ​​incorporating the motors directly inside the arms is fantastic, already from an aesthetic point of view and then for protection against the elements of the gears !! 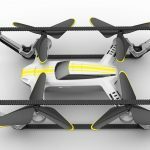 But I’m afraid that the new arms being wider offer a greater resistance to air propelled by propellers … Have you made a comparison of the agility of the old and the new prototype? So that the “tank” crosses better, I was wondering if you could add teeth on the 2 high pulleys at the front of the aircraft? Thank you for sharing the progress of your work, I hope to read you soon. THANK YOU !!! The transition time is as fast as pressing the “mode” button. There is no time involved in re-calibrating the flight controller, it always stays on ready to take off. The driving function obviously does not need any calibration, so transition in both ways is super fast. About the motors in the arm, we also think the same. Our contracted factory was not happy with the change, as we spend last 12 months developing and testing the old idea. Once we explained all the benefits of the “new idea” we started working on the prototype last week. Factory still needs to confirm if the power transition will not cause any problems and can pass their “droop test”. Regarding the arms being wider; yes we compared the thrust from both designs, there is no noticeable difference, as the new arm is only 1.5 mm wider in the place where the arms join the body. That is the place where propeller produces highest air velocity and could affect the maximum thrust. The idea about putting the teeth on the front pulleys is actually really good one ! Thank you for sharing ! it will help to grip on very high obstacles. We will implement it. Thank you for backing us and sharing a cool idea! Do you have video of new design compared to old design? There were little issues with the power transition, so we had to take time to tackle the problem. 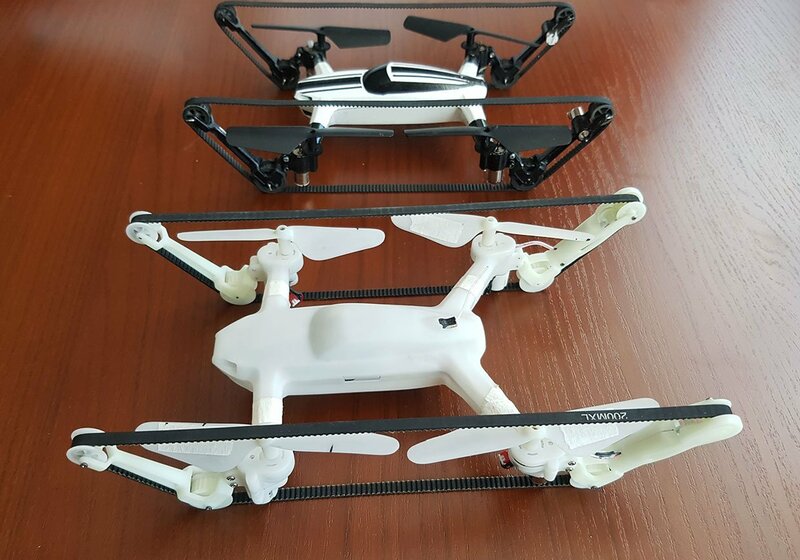 Prototype should arrive from the factory within next 14 days ( the final model :)), then we will upload the video. 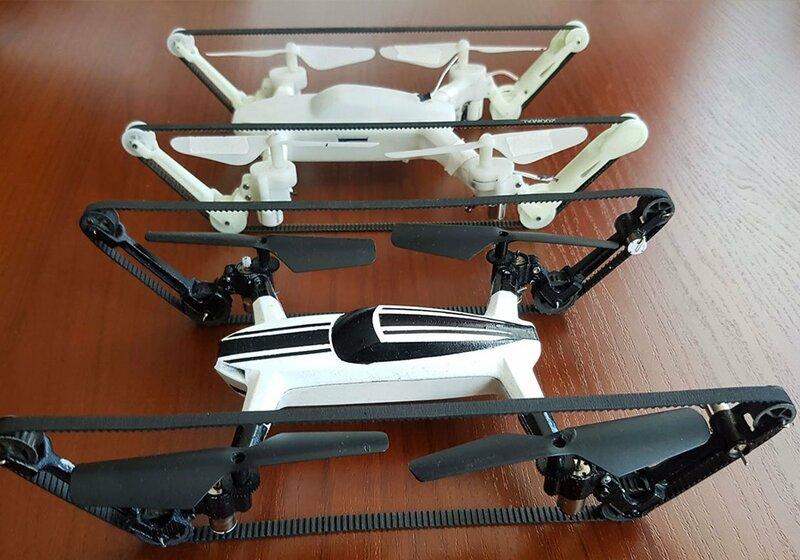 The function in both models is pretty the same, new one is bit more agile in the air and have much better performance on the ground ( due to much more powerful motors and new drive system).